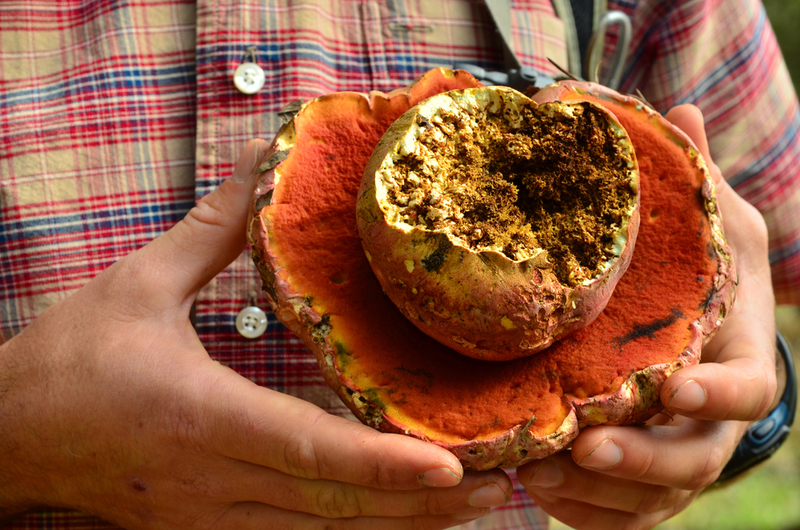 A New Year of Fungal Exploration! 2016 is within a stone's throw (a mycelium's reach? ), and a lot of exciting things are brewing in Mushroom City, USA (a.k.a. Santa Cruz). The DNA Sequencing Project funded by the Fungus Federation is nearing its first major milestone - initial sequencing for our first 500 specimens should be done before the year's end. Dr. Joshua Birkebak (a former Pacific Northwestian, more recently hailing from the Matheny Lab at University of Tennessee) has jumped on board to help us analyze and work with our sequences. With the help of student interns at UCSC, we are getting our fungal herbarium in modern working order (digitized and integrated into MycoPortal). All of this gets us closer to our goal of a working Mycoflora for Santa Cruz County. On top of that, I'm teaching two sessions of Beginner's Mushroom Identification courses in January and February of 2016, as well as one Intermediate Mushroom Identification Course. Having seen the progress of the Fall 2015 class, I'm really excited for the community of mycophiles we are growing here in Santa Cruz! In celebration of the imminent storms and rainy prognostications for fungal fructification, everything in the Redwood Coast Tours shop is discounted by $20! That means all our classes, tours, and our new gift certificates (which can be used for either). Check in soon to get this discount, and to make sure you get a space in these upcoming classes! The Fungus Federation of Santa Cruz' 2016 Fair is just around the corner and now is a great time to dive more deeply into the world of mushrooms... Who knows what wonders await?